Day 1…I am different and it is okay! I mean I am okay with that. For the majority of my life I have felt absolutely different from most people I encountered. I always felt special and unique, but all the more destine for absolutely greatness. I have wondered why I do not fit in most of time with people for long periods of time and why I do not linger long in situations that were not beneficial for me to involve myself in. It is because I was different, I was special and I was unique and most of time it was best for me to not involve myself into situations where people did not share a common goal for a thrust for life and aspirations for success. I was just simply a different person, living a life of greatness and having a vision beyond my right NOW! We have added a new author to our list! 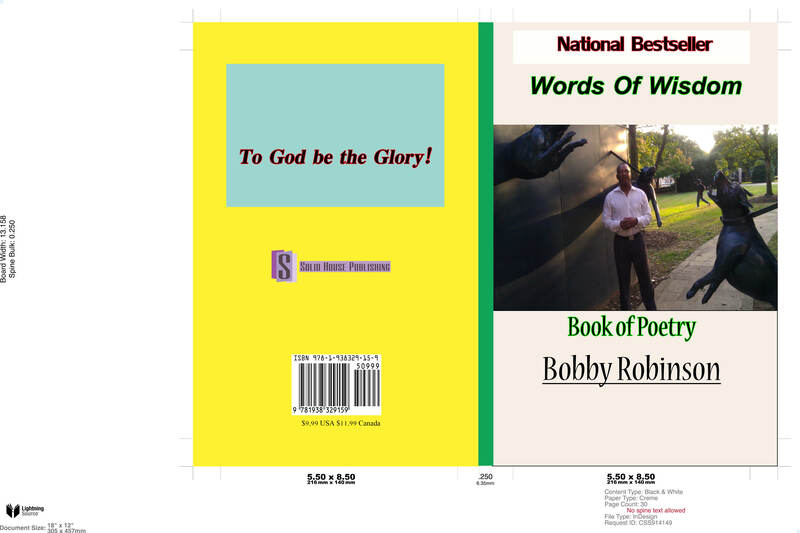 Solid House Publishing Presents…Minister Bobby Robinson, Words of Wisdom to it’s bookshelf! Way to go Minister Bobby Robinson! He is an instant National Bestseller, because Solid House Publishing, INC is speaking life over the project! We are glad that we were able to make one of your dreams come true!